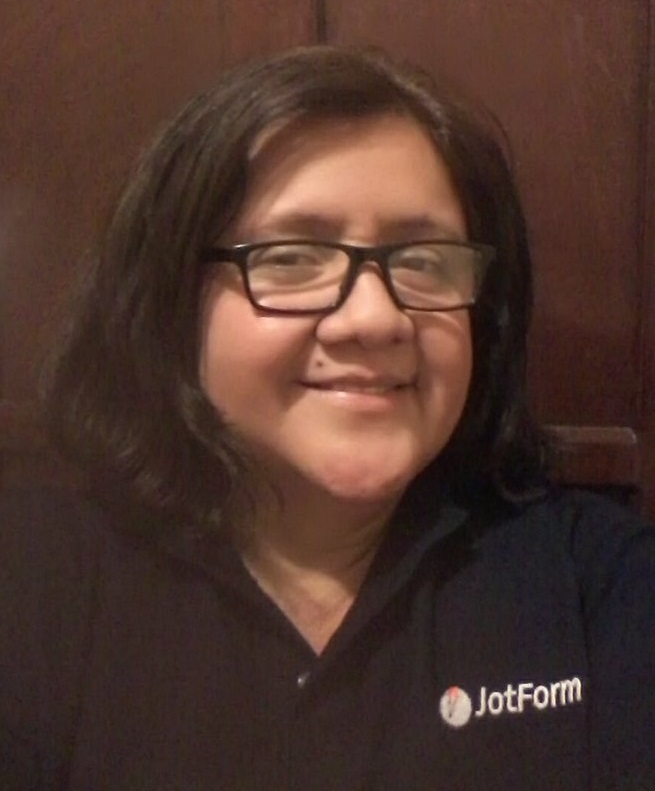 I am new with Jotform. Sorry for my bad english. 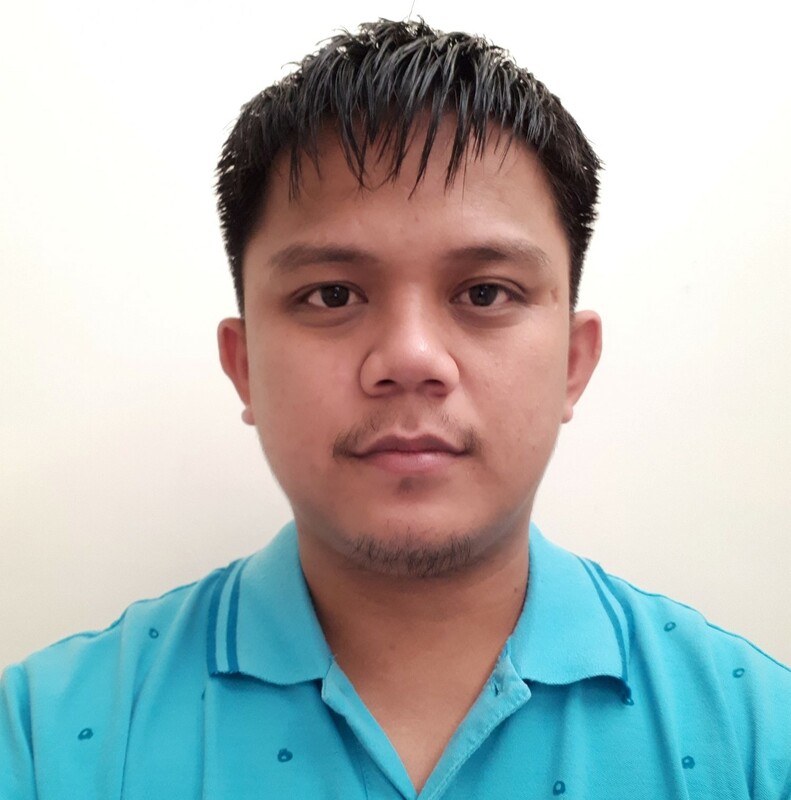 I am working for Manpower Vietnam. This account belong to my company. I did purchase for 2 months but i used visa card but now my companys process require contract and invoice. Your invoice is acceptable by our Accountant department. So can i ask for contract to purchase for 1 year using? I really need contract to process. However, the minimum payment is $100 as manual handling is involved. So, the first option for you would be to buy the Premium bi-yearly subscription (2 Years). Let us know if one of the payment methods is acceptable and your company would agree for two years Premium, and we'll give you the full steps on how to process the payment. I had a conversation with my boss and our company only agree to pay for 1 year Economy package. My Accounting and finance dept want to have CONTRACT to make payment. They can make wire transfer. So can you help me? That would be much more easier when we talk on phone. Shall i have your support phone number? Unfortunately, we do not offer a support over the phone so I'm afraid, I can't call you this time. We are active here in support forum so I would suggest contacting us here instead. 1. Access our one time Economy Yearly link: https://www.plimus.com/jsp/buynow.jsp?contractId=3173680. Please be sure to note the "Reference Number" when sending the payment. This is very important so your order will be processed. 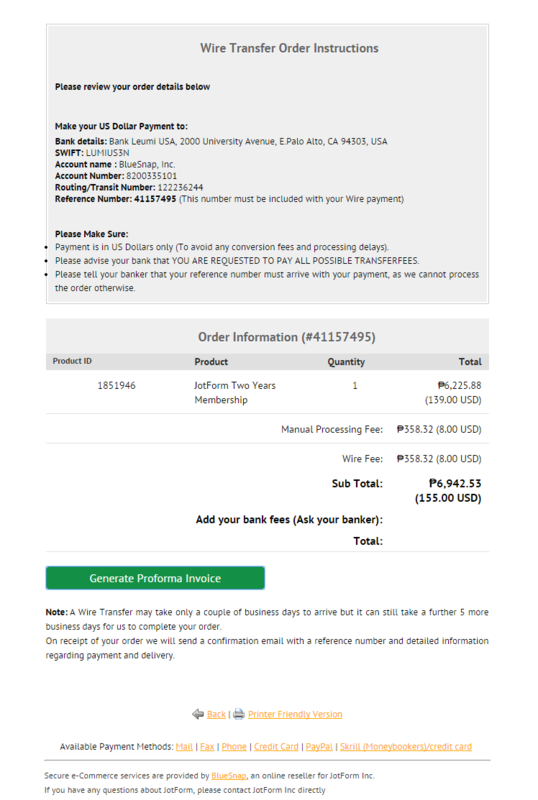 Click "Generate Proforma Invoice" in a green button to generate and invoice. Because my company's Accounting and finance department require Contract and Invoice from provider to make payment. They accept your invoice such as the last invoice so i have to ask for contract from you guys. What about purchase order? Please give me some information for Purchase order. Please be noted that our primary mode of communication is forum. Though you can also send us email but forum is the fastest mode of communication as we do not provide support over phone. 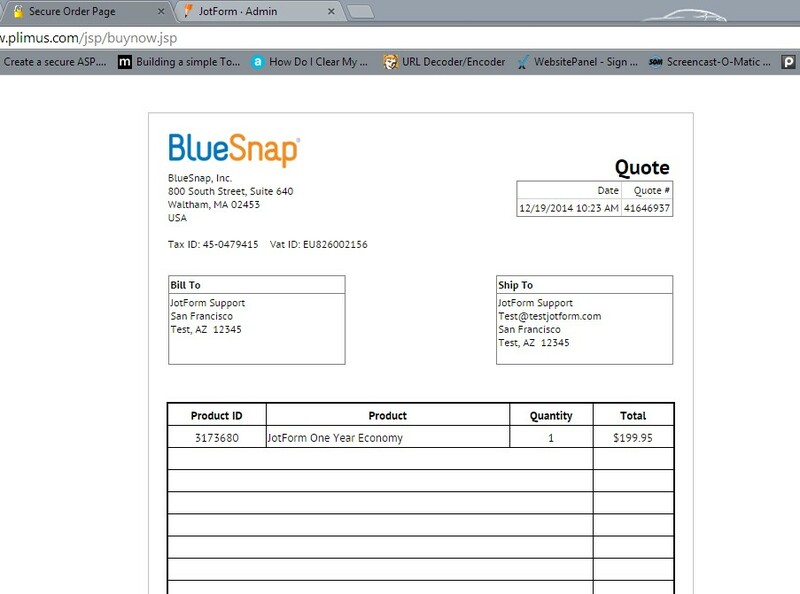 Clicking on the next button will show you the "Proforma Invoice" and the order instruction you need to process. You can use this proforma invoice and send it to your accounting department for approval. I really really need info about CONTRACT (can i have a contract for a company) because i buy this package for my company. This account is belong to my company, not personal account. They only accept to make payment only when they have Invoice and Contract as a company. My company is Manpower Vietnam. I need to finalize this as soon as possible. If you guys have another way to communicate such as skype or any method, please let me know. I am not sure if we sign any contract but let me forward your query to my manager and she will be the best person to answer your query. Lets wait for my manager's response. That would be great. Hope we can finalize this before new year. On behalf of my colleague you are most welcome. He will get back to you as soon as we have an answer. 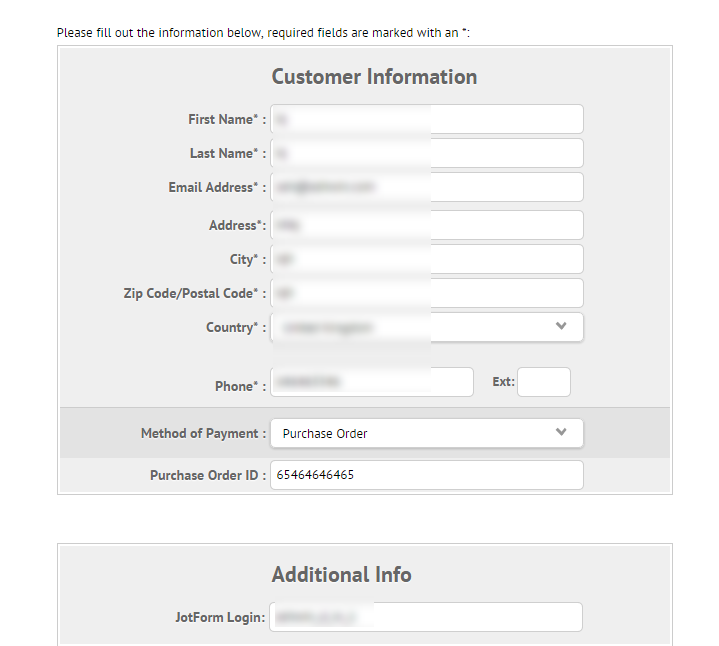 Could you give me an image show me next step after i click next in Purchase order method. 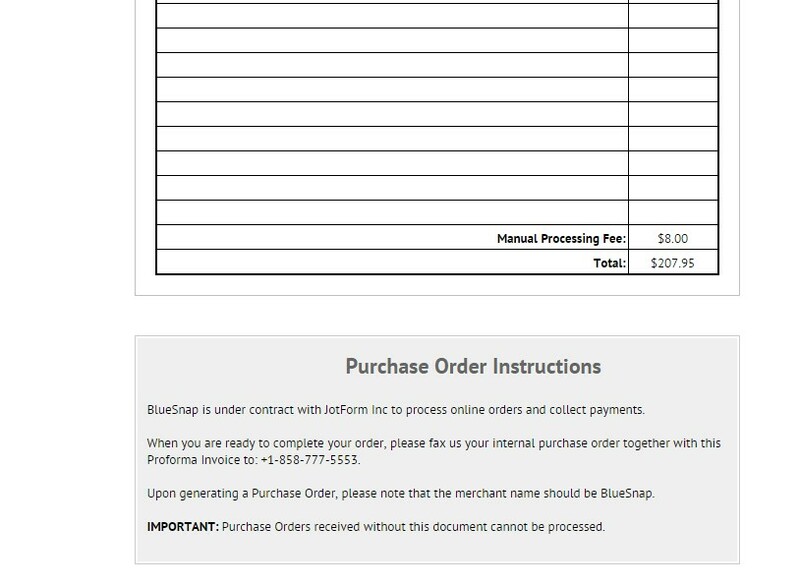 What the "Proforma Invoice" and the order instruction look like? My country's law only allow oversea transaction when we do not have contract and invoice from provider. The bank will keep the money until we show them Contract and Invoice. I did ask for a solution and they said that they need a service agreement about service and your company information. That would be easier for both side. So can you make one? About your request of creating a service agreement with you, as far as I understand this will be also a type of a contract which our manager already said that we don't sign. If you're referring to something different please let us know. But this invoice actually is a quote. After i purchase, will you send me an invoice like this picture below. If you do, please give me a sample. I need to show that picture to my company's Chief Accountant. 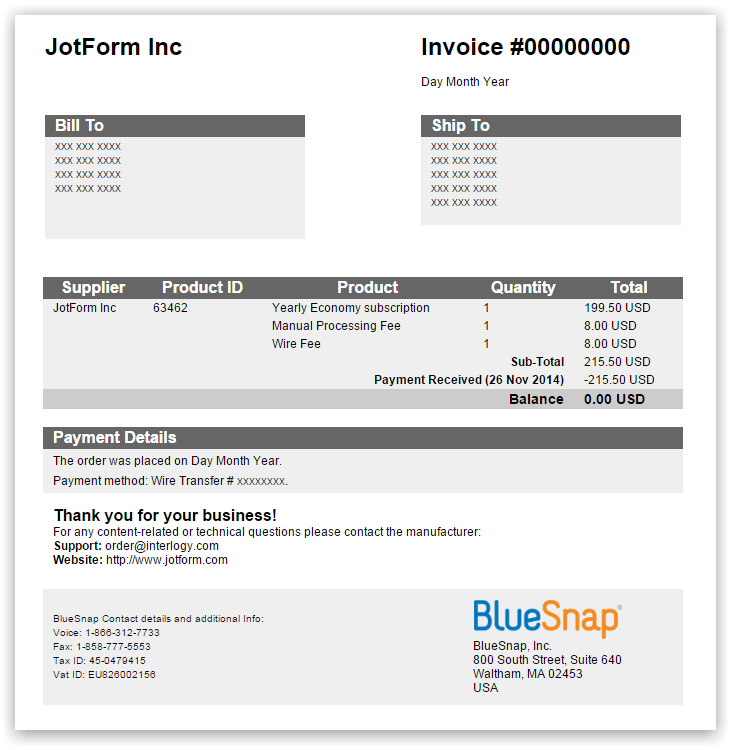 The invoice and the invoice number gets generated only after the payment is successful. We can send you a sample invoice image without the date and order reference number. Will that be an acceptable format for you. Do get back to us and we will do the needful. 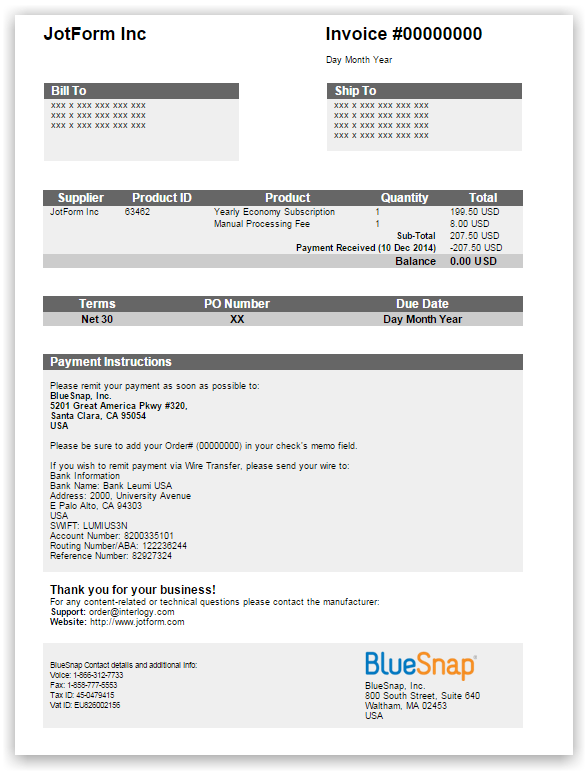 Please send me a sample invoice image for Purchase order method. That will be great.. I do not want to send the image above because that invoice is for my 1 month purchased and i used my credit card to purchase. After all, i think i only need the sample invoice of Purchase order method to finish this topic. Such a long topic for me and you guys. So happy to see this. Only 1 more question. 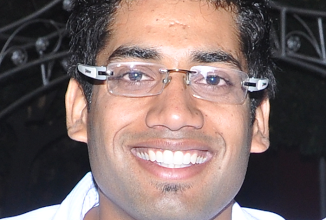 Will Wire transfer invoice look like the same or not? If not, please send me one.